Pine Labs, a point-of-sale payment solutions provider for both offline and online retail chains through a cloud-based network, plans to foray abroad, besides expanding within the country. The Noida-based company is looking at four or five Asian countries in the next two years, followed by Europe and the US. It is also exploring getting into data analysis, which holds much promise in retail, especially e-commerce. Lokvir Kapoor, chief executive of Pine Labs, told Business Standard there was strong interest for the company’s cloud platform from international markets. He added the company’s first international site would go live soon. Though banks and retailers abroad had responded positively, organisationally, the company would have to change considerably to suit international business needs, Kapoor said. 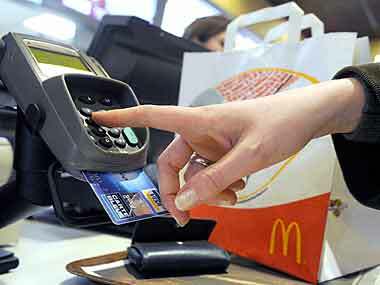 With about 90,000 points of sale in India for 60 brands of retailers, food joints, card, loyalty and mobile wallet companies, Pine Labs recorded $8-9 billion of transactions on its payment systems this year (in 2014-15, the overall electronic transactions in India stood at $50 billion). The company said by 2018-19, the total expenditure on the Pine network was projected to rise to $60 billion. Started as a three-employee company in 2005, the Sequoia-backed firm now has 700 employees, with Flipkart, Groffers and Pepperfry among its customers. Operating on a transaction-based fee model, Pine Labs is already profitable, Kapoor says. To expand, the company is looking to invest $100 million in technology and infrastructure through the next two years or so. It plans to increase the number of points of sale from 180,000 expected by this year-end to 500,000 in three years. Eager to get into data analysis to tap into buyers’ buying trends, Pine Labs is in talks with leading e-commerce companies.